After an enjoyable overnight bus ride I found myself in the city of Kyoto. 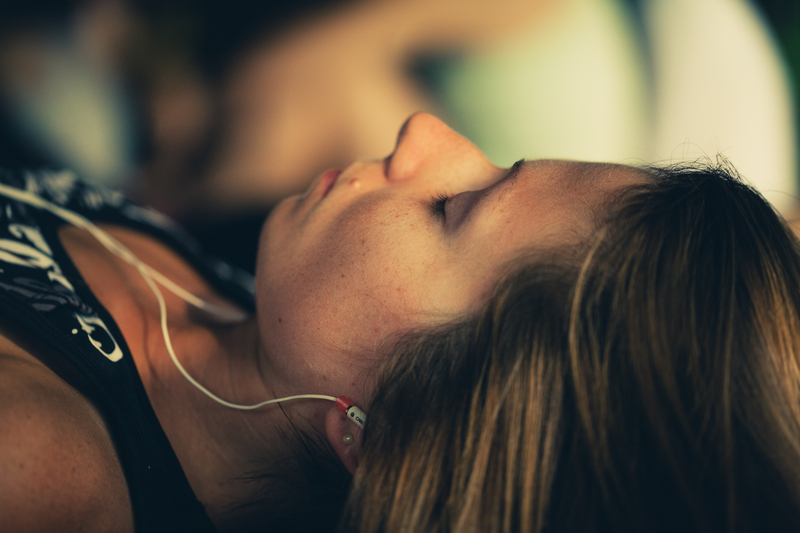 As I entered the station I felt like my sleeping pill from the night before was still in effect, it seemed like I was wandering around in a cloud not really comprehending what was in front of me. After a quick change, brushing my teeth and washing my face I emerged back into the station like a new person. I soon met up with Haruka, a girl I met through Couchsurfing , who agreed to show me around Kyoto for the day and provide me with a place to stay for the night. After organizing our plan over a coffee we set out for the Higashiyama part of town, starting with the Kiyomizu-dera temple. 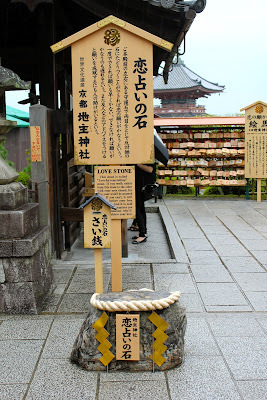 This temple was high on my list of must sees so I wanted to head there before the typhoon hit Kyoto. The temple is one of the UNESCO world heritage sites and the name comes from a waterfall that runs through the complex meaning "clear water". The temple is known for the main hall and large veranda that juts out of the hillside offering impressive views of the city. As we made our way through the temple the rain would come and go but as we made our exit it really started to come down. 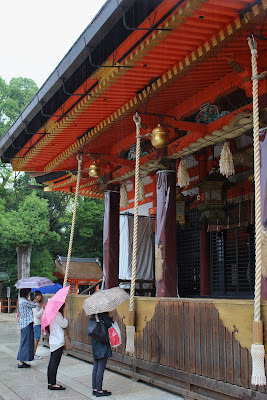 I had originally thought I would stroll through this entire area of town, taking in the old villages, parks and multiple temples and shrines, but the rain had other ideas for me. We hopped back on the bus and road it a few stops to the Gion district. 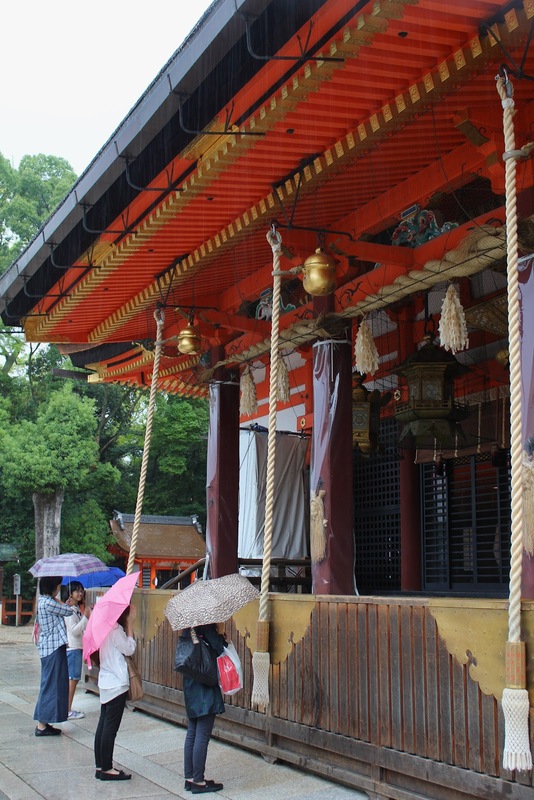 This area is a well-known geisha district but also popular for temples, shrines, shopping and restaurants. We made a quick stop at Yasaka Shrine and then decided to make our way towards the downtown area to find lunch. Haruka suggested Okonomiyaki and as I wanted to compare the two styles (Kansai and Hiroshima) I was definitely up for it. After lunch we walked around for a while, including a stroll through Nishiki Market which is a traditional food market. It's probably a good thing I was full from lunch or I would have been sampling many dishes and spending lots of money. There were many stalls selling mystery products, rice cake treats (similar to things I've seen in Korea) and of course the famous Takoyaki (which sadly, I didn't try while in Japan). We then decided to catch a bus out to Arashiyama (another area of town on my list) which is famous for a large bamboo grove and also home to many temples. Unfortunately the rain grew worse as we rode along so my camera took a permanent seat in my purse, but the bamboo was beautiful, you'll just have to take my word for it. Although it wasn't the best weather for the outing the bamboo grove did do a pretty good job of sheltering us from the strong winds. While in the area we also stopped at the Tenryu-ji temple which boasts a ceiling with a large painting of a cloud dragon (no pictures aloud). The dragon was impressive although I feel like I got robbed as the entry fee was 500 yen and only gained you entrance to the one room. By this time we were cold and soaked to the bone so we decided to take advantage of the foot spa, conveniently located right next to the train station. Although my feet were already waterlogged the hot spring water felt much better than my mushy socks and tennis shoes. I must say after 30 minutes of sitting there we were a bit reluctant to head back out into the storm. By this time we were both tired and ready for some permanent shelter, we made our way back to the station to grab my bag and one more bus ride later we were back to Haruka's apartment. We had a relaxed evening and grabbed dinner at a nearby restaurant where I tried a curry style udon, very interesting. Haruka had class the next day so she wouldn't be able to join me on my travels but did insist on meeting with me for dinner before I caught my bus to Hiroshima. 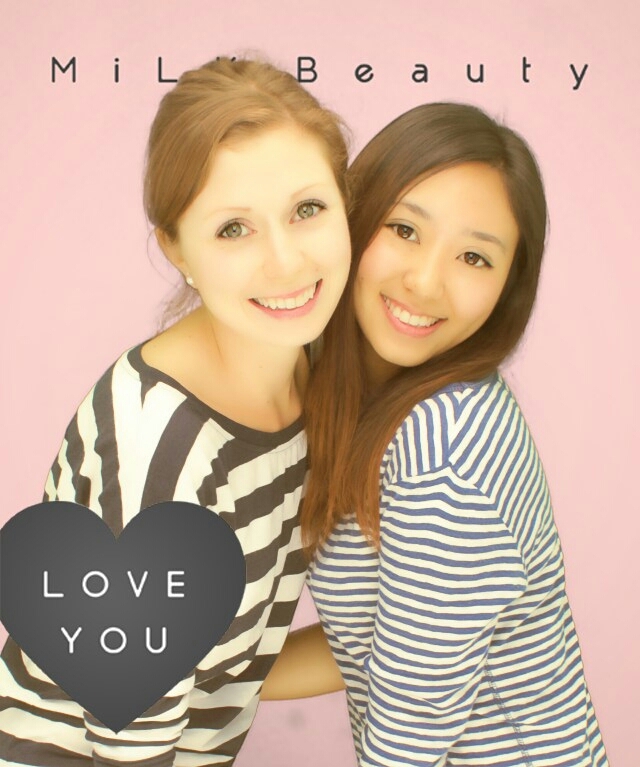 The one thing I regret from my trip to Japan is that I didn't take any pictures with Haruka but thankfully we had fun at a Japanese photo booth on our last night together. I KNOW i would have loved this city - all the temples, statues and especially the bamboo grove would have been so great to see - lucky you that YOU were able to experience it. I'm so happy that everything worked out for this part of your trip and that Haruka was such a warm, welcoming soul. For only having one picture with Haruka this is a good one. You both look so perty. And i usually don't say that about Asians. haha it's the magic of the photoshop/editing, but shhh don't tell.